This week’s winner is @lasVegasSun a via @Circusvegas tweet. It’s a view of the New Years fireworks. 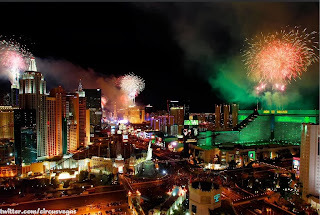 The picture is taking from Excalibur and captures a really sweet picture of fireworks exploding over MGM, Monte Carlo and Planet Hollywood…or at least that’s what I can estimate from the photo. I’ve seen these on TV before and it’s a pretty spectacular display that I will never see in person because the thought of being jammed packed with all those people on Las Vegas Blvd is not appealing in the least. 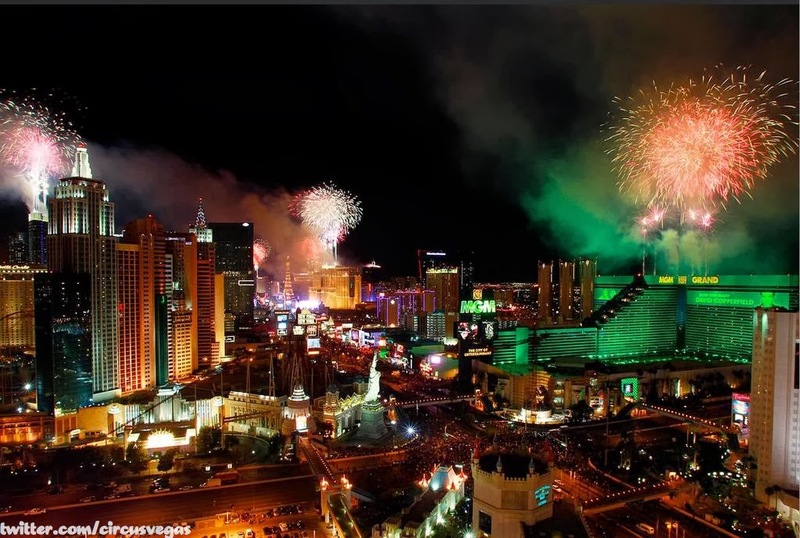 It would be amazing to walk up Las Vegas Blvd but you can’t do that on New Years. So I’ll enjoy this photo, as will our listeners.